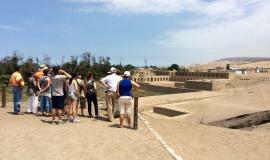 We offer to our visitors Private tours in Lima, such as, City tours, tailored tours, tours to Pachacamac sanctuary, Paracas city, Ballestas Islands and The Nazca lines as well as Shore excursions in Lima for cruise ship passengers. Our tours can be modified adding, discarding or combining with other alternatives at your free choice and dates and schedules can be set according to your own priorities. In case you have a layover in Lima we can customize a tour including transfers from and to the Ship terminal or the Airport. 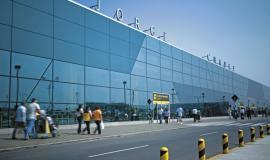 We also provide transportation services from and to Lima Airport. Orders for airport transfers are accepted online or by phone and Private driver services are also available upon request. For your convenience, we accept all major credit/debit cards. We invite you to review the rest of our site for more details regarding our services, online booking, rates, and other important travel information to enjoy and discover Lima city, a fascinating blend of local tradition and European influence that will give you the perfect introduction as you move inland. You will be amazed by its striking architecture, friendliness of its people, excellent cuisine and night outs filled with afroperuvian music. Thank you for your kind visit!